Two new zones: Nazjatar and Mechagon. A new Raid: Azshara’s Eternal Palace. A new Dungeon: Operation: Mechagon. And a brand-new system with a ton of new active abilities and customization: the Heart Forge. A great amount of new quests spanning all over the planet, and some major lore characters: War Campaign. Two Heritage Armors: Gnome & Tauren. Two Islands: Crestfall & Snowblossom Village. An Heroic Warfront: Battle for Stromgarde. The addition of Ashran to the epic battlegrounds. We are also adding new missions and mechanics (as mission updates). Brewfest is getting a giant makeover, and now has a pretzel hat, and an eating contest with holiday updates. We are building some content that is specific for War Mode that we think “you will think/gonna think” is really cool. Also some new profession recipes. And of course, some new Pet Battles content, including the Stratholme Pet Battle dungeon. 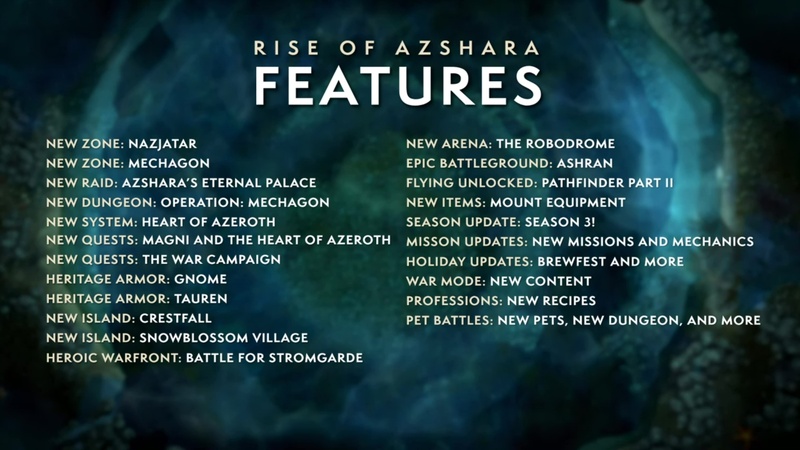 Lot, and a lot, and a lot of awesome stuff coming in Rise of Azshara. So naturally, we want to get this on your hands as soon as possible. But we wanted to wait to make sure that the majority of the content was going to be there; and playable for you. We want to hear your feedback on everything, and that means that things need to be ready; and that meant that we were holding off the PTR for a while until the content was essentially at a place where we were ready for your feedback. But most importantly, we wanted to make sure the Heart of Azeroth, and the Titan Essence system was in place immediately. We wanted you to be able to jump into the PTR right away, unlock your essences, and immediately begin playing with them to give us all of that great feedback that we are looking forward to, but more than enough time for us to be able to respond to all of your comments. 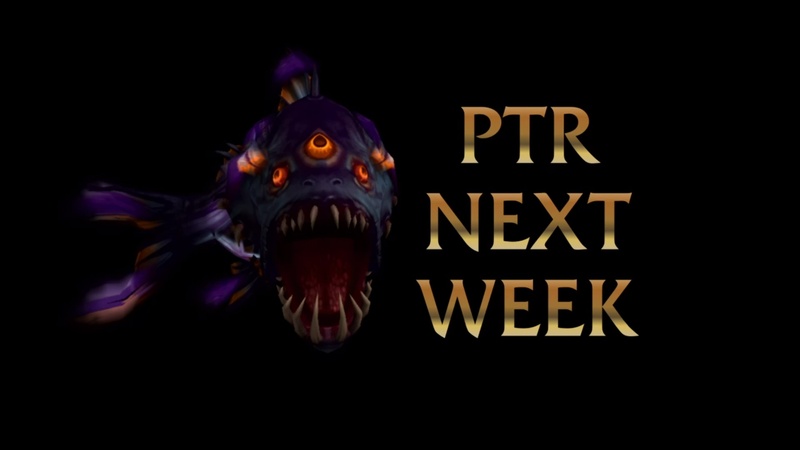 Well, I am happy to announce that we feel like we are there; and you will be seeing the PTR next week. We will be looking forward to everything you are about to see. Of course, we all look forward to the giant datamining exploration, and all the awesome pets, and mounts, and other things; and broadcast text, and quests that you are going to read. So we will be looking forward to all of your reactions on the forums; and of course, when you are able to jump on to the PTR, we will have a ton of this content playable, as well as that Essence vendor waiting to immediately sell you some Essences so that you can start playing with them, and start giving us feedback about how this brand-new Heart of Azeroth system feels. We have put a lot of time, and effort, and heart into Rise of Azshara; and we think it shows. There is a lot of really cool stuff here that changes the game in a lot of different ways. So we are really looking forward to hear your feedback. Thank you very much for watching our livestream. I am Jeremy Feasel. 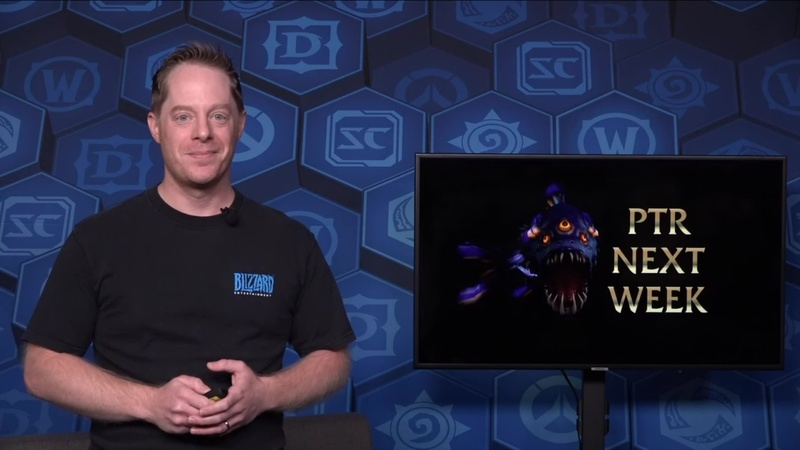 On behalf of everybody on the World of Warcraft team: “See you in Rise of Azshara.” Thanks.